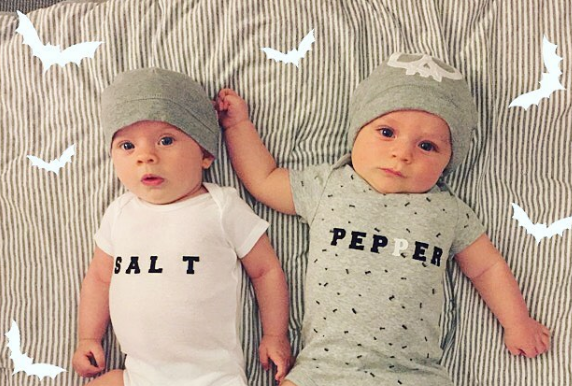 It can be a challenge to decide on Halloween costumes for your twins. 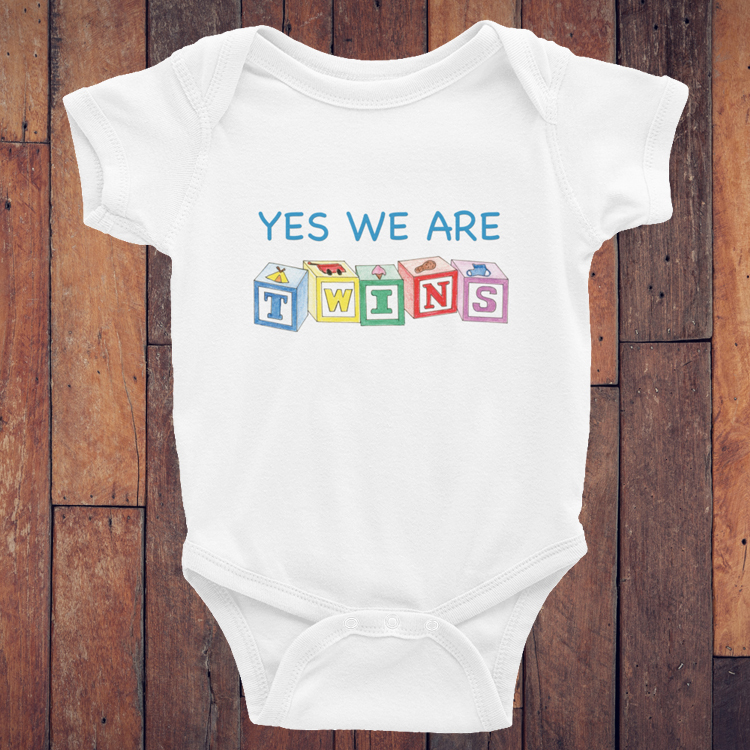 We’ve collected together a list of ideas to help you with this task. 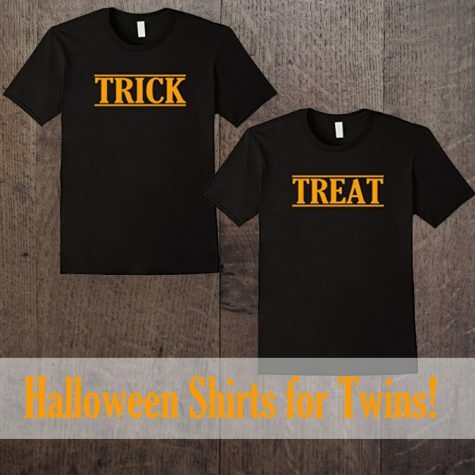 There are lots of great combinations for your boy/girl twins for Halloween. 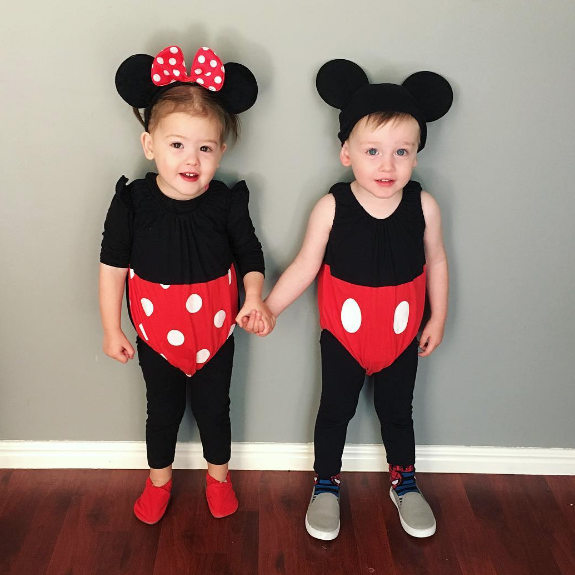 There are numerous Disney themed ideas: Mickey and Minnie Mouse, Woody and Jessie, Aladdin and Jasmine, Belle and the Beast, Cinderella and the Prince Charming, Peter Pan or Captain Hook and Wendy or Tinkerbell, Mr and Mrs Potato Head, Simba and Nala, and Lilo and Stitch. 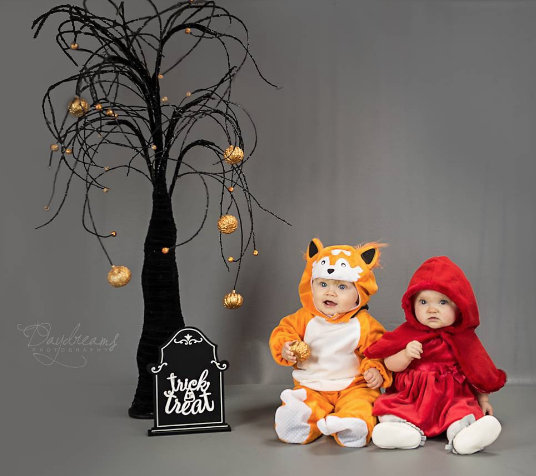 Books, TV shows and movies can be sources of inspiration for your boy/girl Halloween costumes too: The Big Bad Wolf and Little Red Ridding Hood, Scarecrow/Tin Man/Lion and Dorothy, Hansel and Gretel, Diego and Dora, Pirate and Mermaid, Bam-Bam and Pebbles, Fred and Wilma, Tarzan and Jane, Robin Hood and Maid Marian, Luke Skywalker and Princess Leia, and Harry Potter and Hermione. 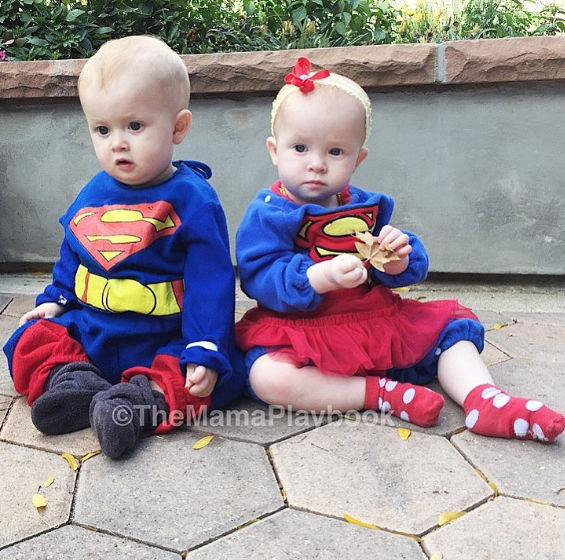 Superhero combinations also work great for boy/girl Halloween costumes: Superman and Supergirl/Wonder Woman, Batman and Batgirl/Robin, Dash and Violet, Captain America and Black Widow, Joker and Harley Quinn, and Spiderman and Spidergirl. 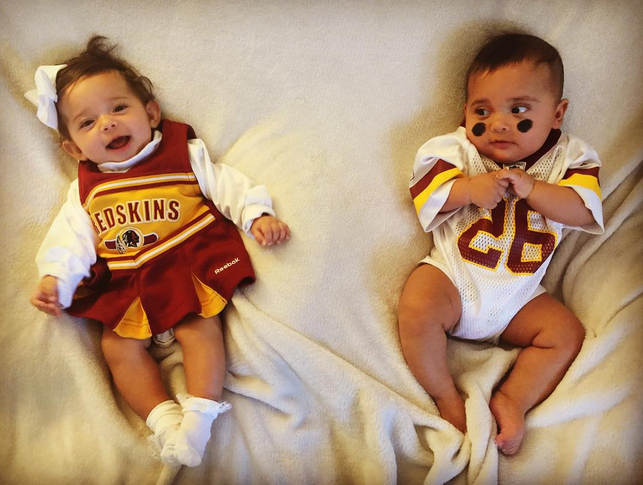 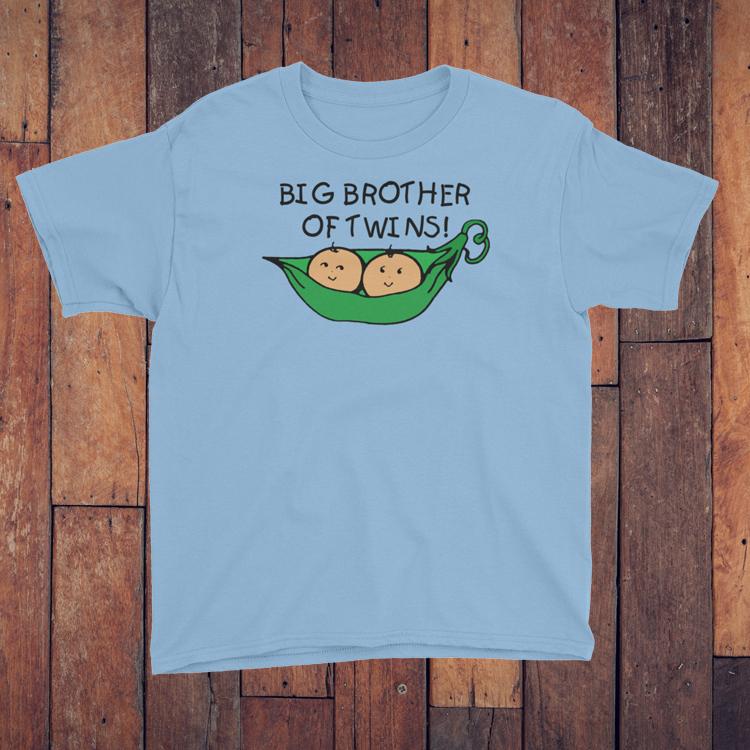 Some other ideas for your boy/girl twins for their Halloween costumes: football player and cheerleader, Ken and Barbie, Prince and Princess, King and Queen, Raggedy Andy and Ann, Cleopatra and Caesar, Hansel and Gretel, Jack and Jill, Queen of Hearts and Joker, Cowboy and Indian Princess, and Greek God and Goddess. 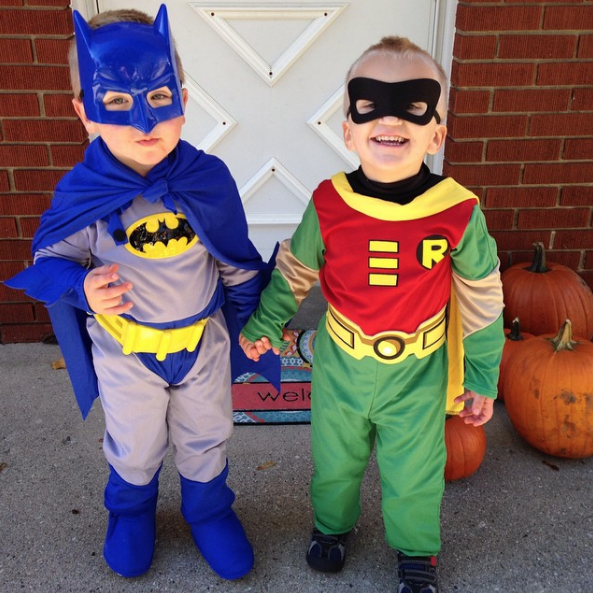 Superheros are always popular with boy twins: Batman and Robin, Superman and Spiderman, Iron Man and Captain America, Thor and the Hulk, and Bubblebee and Optimus Prime Transformers. 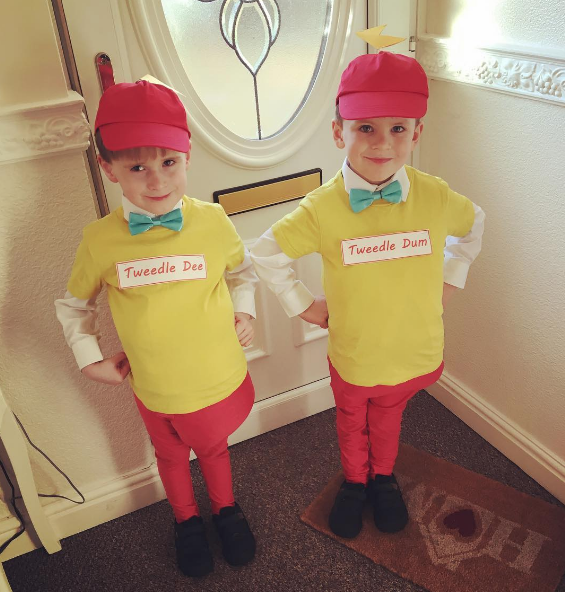 Movies, books and TV shows are also great inspiration for boy twins Halloween costume ideas: Anakin/Obi-Wan Kenobi and Luke Skywalker, Darth Vader and Yoda, C3PO and R2D2, Superman and Clark Kent, Captain Hook and Petter Pan, Buzz Lightyear and Woody, Mike and Sully, Mario and Luigi, Cowboy and Indian, Winnie the Pooh and Tigger, Guns N’ Roses, Tweedle Dee and Tweedle Dum, and Ernie and Bert. 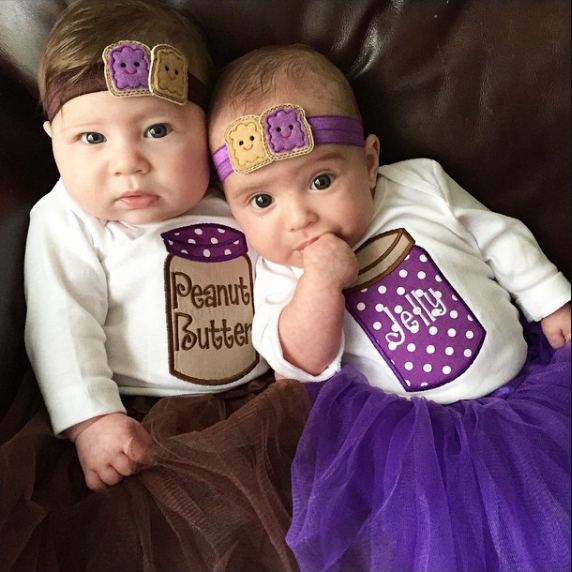 Girl twins will often want to dress as the same princess or superhero. 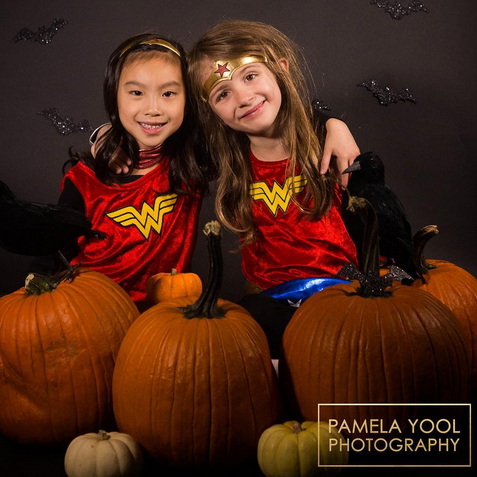 If you are looking for coordinating costumes, here some ideas: any combination of Disney Princesses, Supergirl and Wonder Woman, Power Puff Girls, and Black Widow and Harley Quin. 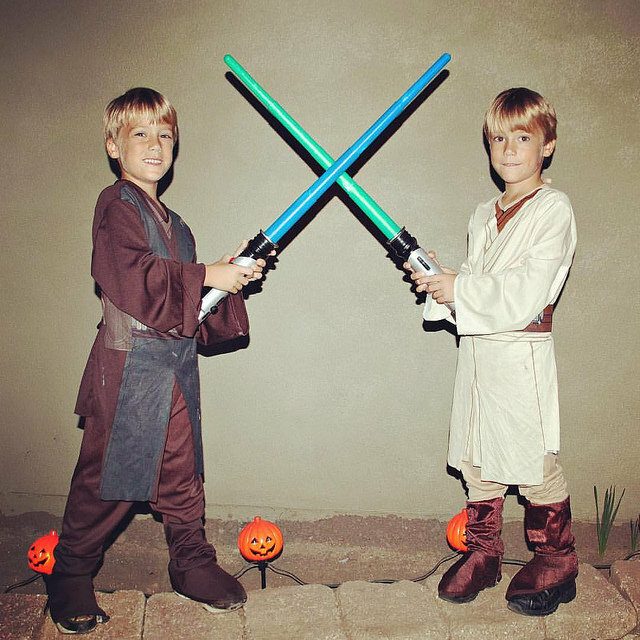 Other girl twin Halloween costume ideas are: Princess Leia and Rey, butterfly and ladybug, Wilma and Betty, and Dorothy and the Wicked Witch/Glinda. 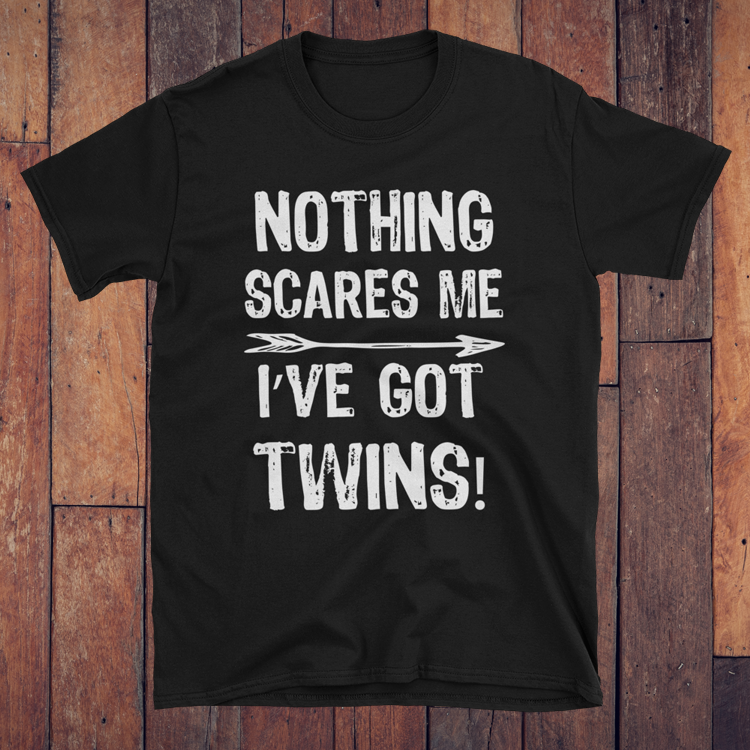 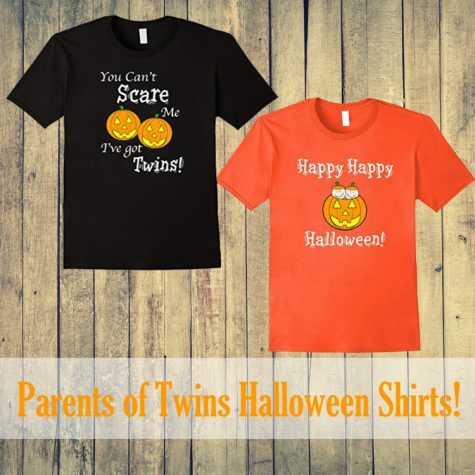 When looking for costumes for your girl twins, don’t rule out traditional boy costumes. 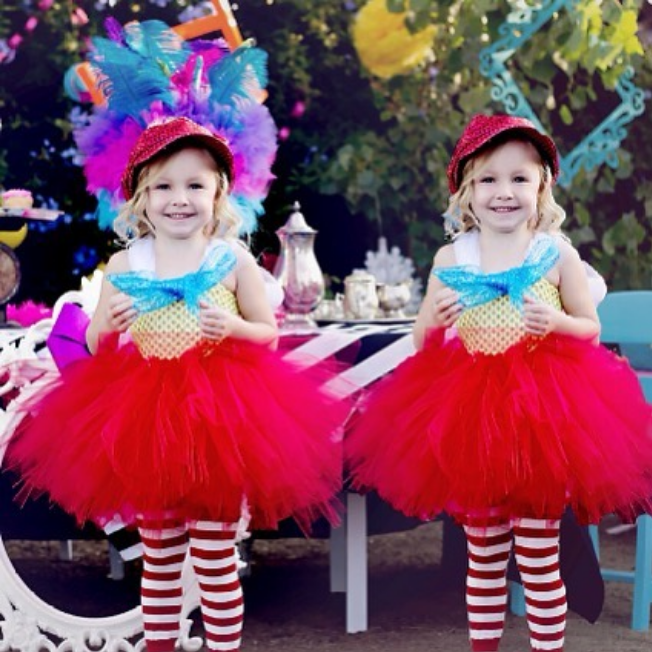 These adorable Tweedle Dee and Tweedle Dum costumes (available here) are a great example of taking a traditional boy costume and turning it into a girl costume. 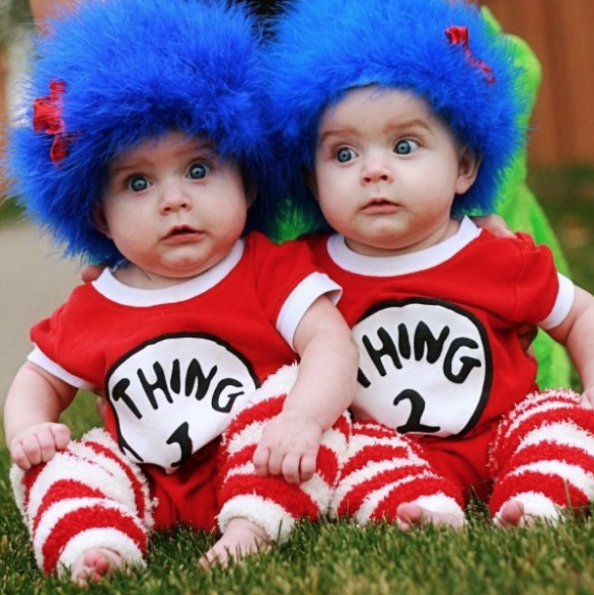 Probably the most popular twin costumes are Thing 1 and Thing 2. 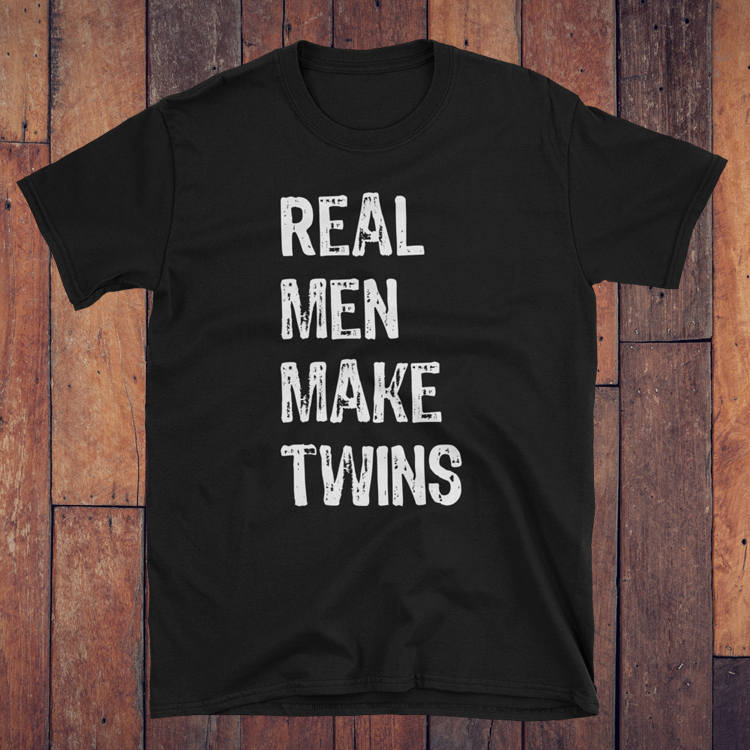 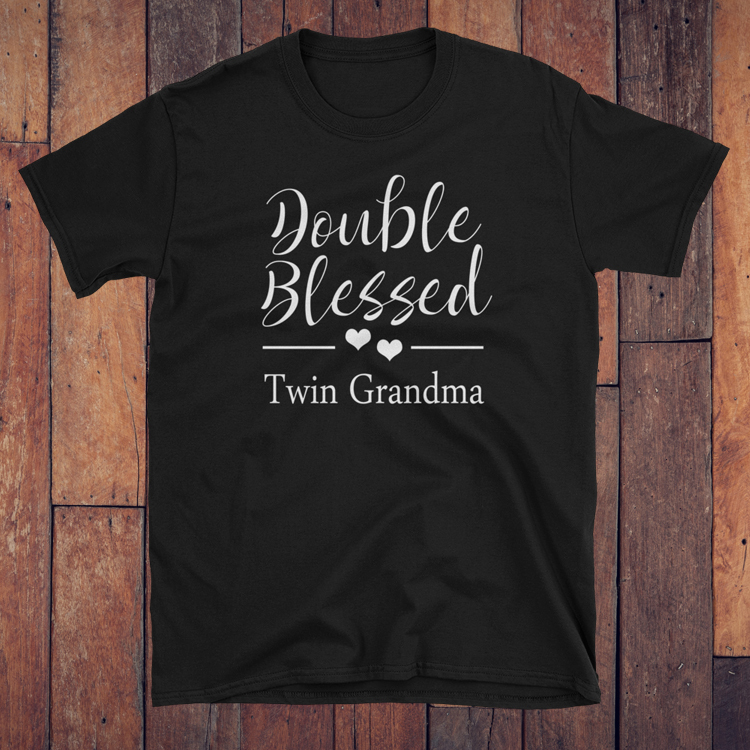 It works for all ages and all gender twins. 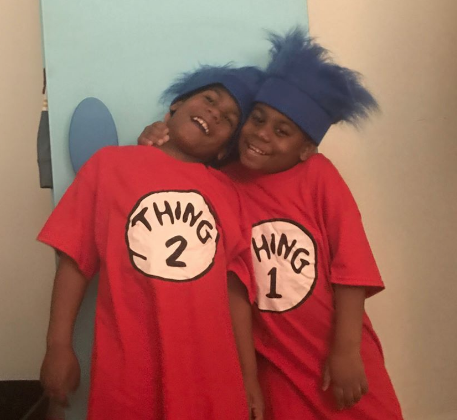 Almost every set of twins I know has been Thing 1 and Thing 2 at least once in their life for Halloween. 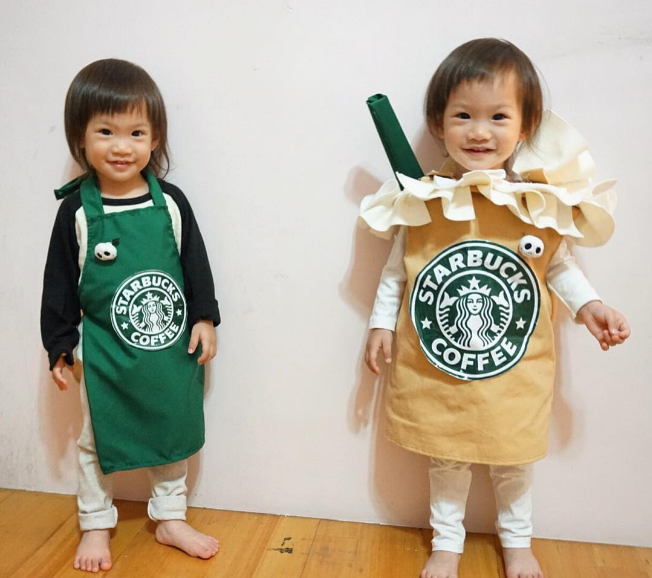 Other ideas include: Barista and Latte, a pair of dice, rain cloud and rainbow, sunflower and bee, angel and devil, Pacman and Ghost, UPS Driver and Package, two peas in a pod, puppy and kitten, crayons, and flowers. 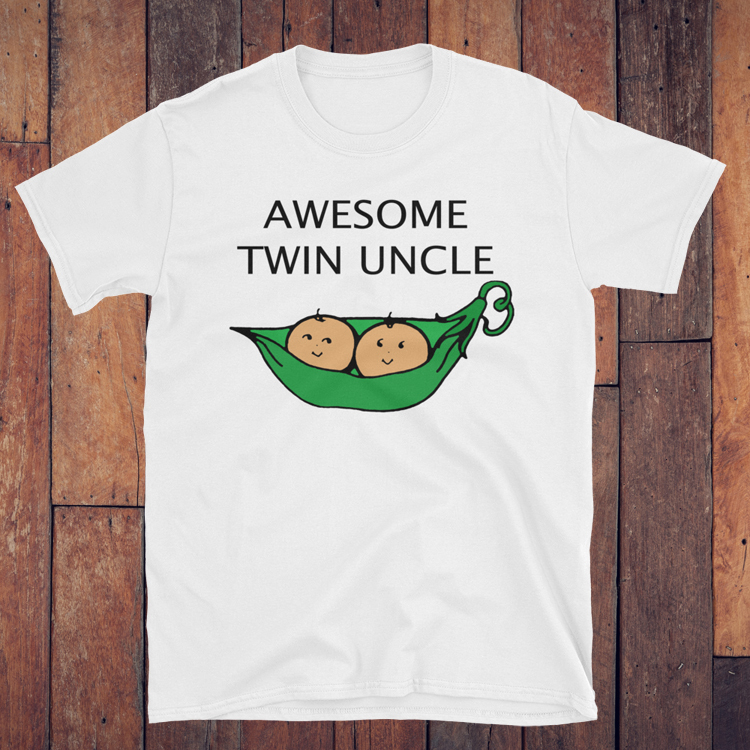 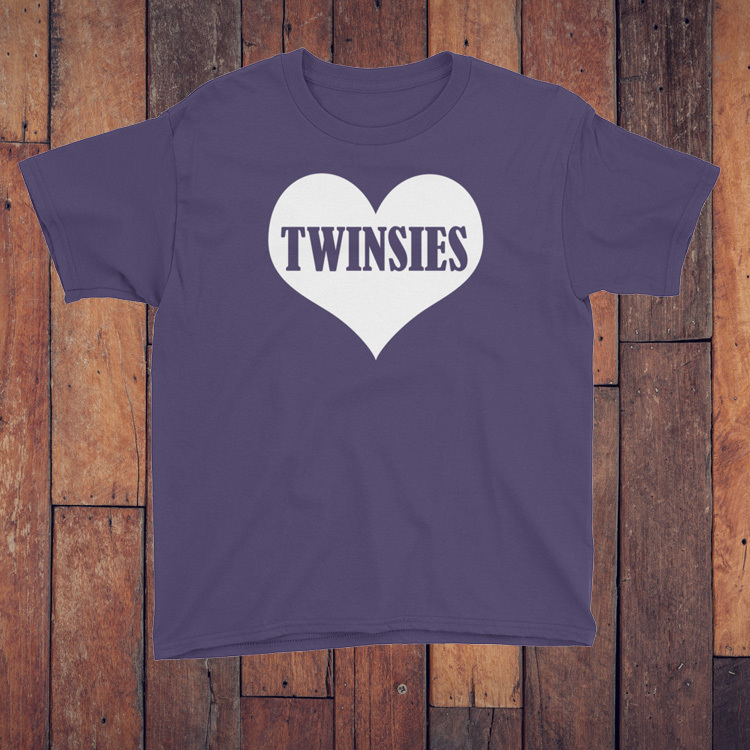 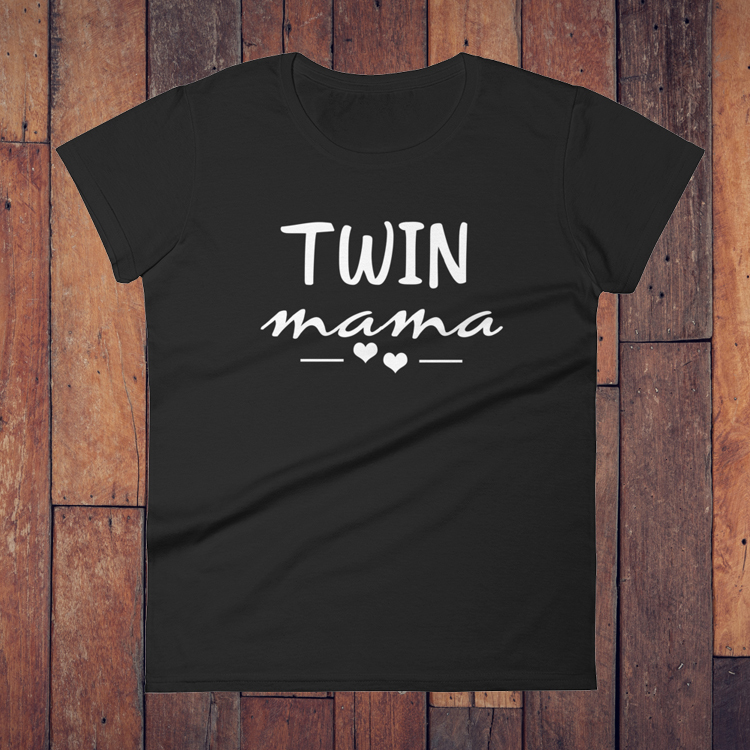 Some additional ideas that work for all twin types are: Minions, Pokemon, Care Bears, Cabbage Patch Kids, M&Ms, gnomes, Power Rangers, Grandparents, Ghostbusters, and Stranger Things kids. 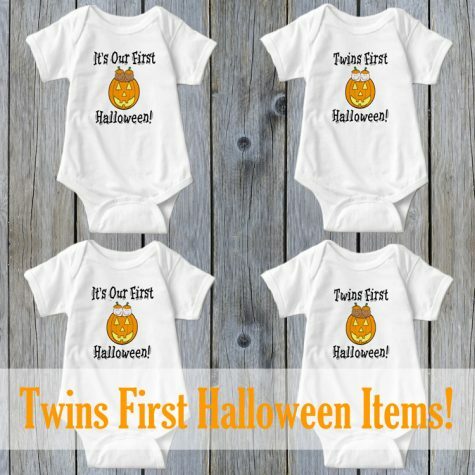 Food combinations are also great Halloween costumes for your twins: Peanut Butter and Jelly, Salt and Pepper, Ketchup and Mustard, Milk and Cookies, Soy Sauce and Sushi, Twinkies, Mounds and Almond Joy, Lemon and Lime, Green Eggs and Ham, Fried Egg and Bacon, Spaghetti and Meatball, Burger and French Fries, and Peas and Carrots. 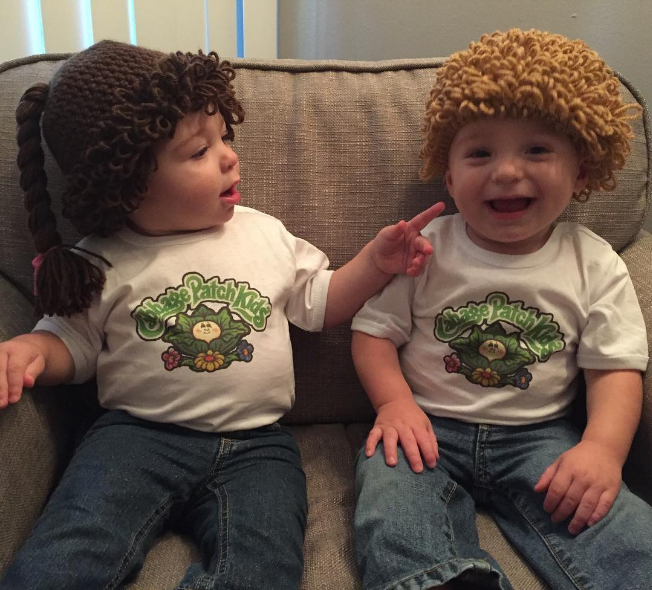 We would love to see the costumes you select for your twins this Halloween. 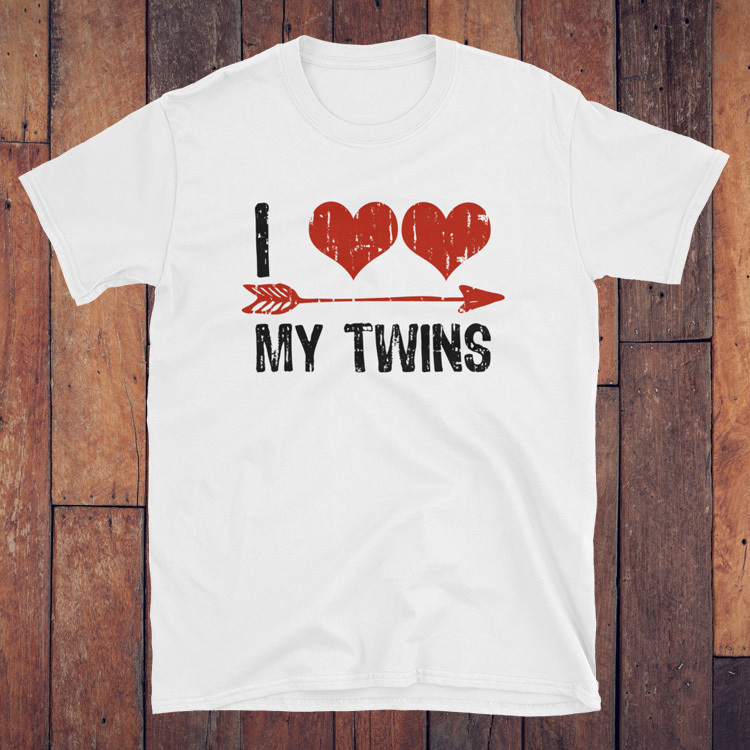 Post a picture on our facebook page or tag #scrappingtwins on your instagram photo. 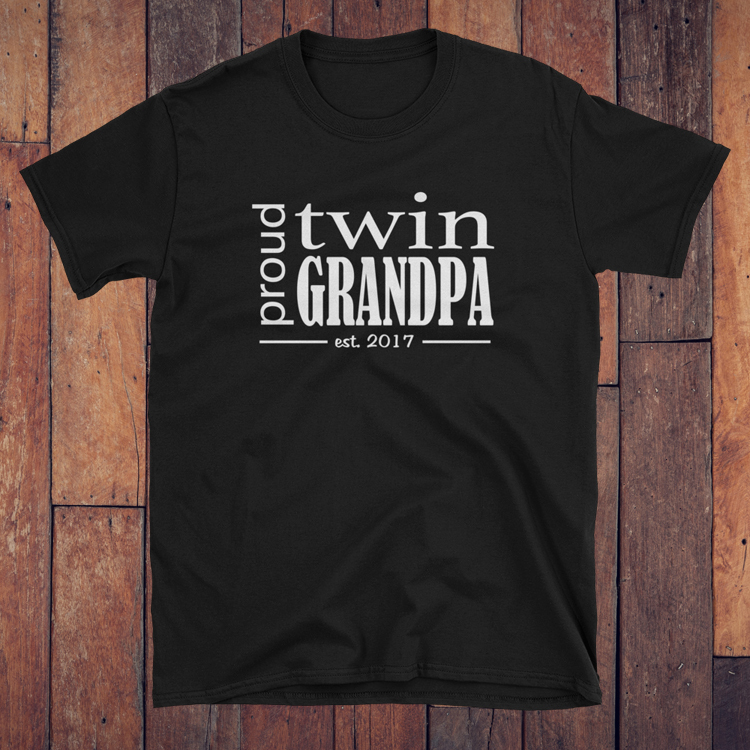 You can also leave a comment below.